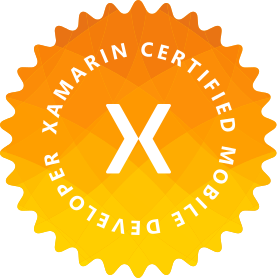 Have you or someone you know been physically harmed or emotionally scarred by the stress of setting up Continuous Integration on VSTS for your Xamarin.Android project? If your answer is yes, you are entitled to no compensation, but this blog post might help. Easily one of the most frustrating experiences I’ve had with CI so far. It seemed that after I worked through one issue breaking the build, another two popped up. It’s like fighting the Hydra of builds. Of course everything built fine on my local machine as well as on my other developers’ machines! So WTF VSTS??? Let’s look at some common errors you might have run into. If none of these cover your problems, leave a comment and we can try to sort it out after. Maybe you’ve run into this problem during your actual builds in the past. Basically the issue is that the latest Android Support Libraries build with a newer version of the compiler. The fix is simple – in VSTS, set your JDK version explicitly to 8. The error is at least pretty explanatory. You ran out of memory in your Java Heap. These errors can be common and are only applicable to basic Android builds. This does not cover Continuous Deployment to services such as HockeyApp or Visual Studio Mobile Center. Don’t forget to leave a comment if you’ve run into any different issues!